Zurich, according to William M. Mercer, a London-based consulting firm, is the city with the highest quality of life in the world for 6 consecutive years. They analyzed 215 cities based on 39 different criteria, including leisure and relaxation, safety, cleanliness, political and economical stability, and medical care (Manila is 123). Well, since this is where I live, I guess, life cannot get better than this. Actually, in the same survey, Switzerland together with Germany are the only countries with 3 cities in the top 10 (Zurich-1, Geneva-2, Berne-9) . Well, that confirms it then , it really doesn't get better than this. 1. The Zurich Lake, around which the city is built is so clean! When the weather is nice in the summer, people would go by the lake to swim. No fee, just bring your swimsuit. The place just transforms into a resort. I won't even be surprised if one can directly drink from from the lake actually. 2. The trains and trams arrive precisely on time (to the second!). Now, I start getting irritated if the tram is 1 minute late. 3. The city vacuums (!) the street everyday. 4. The swiss franc is one of the most stable currencies in the world. 5. Everyone has health insurance. 6. Very low crime rate (in fact probably there is none at all that sometimes the big news of the day is that of man caught peeping in the women's changing room of a department store!). 7. The city supplies red plastic bags and trash cans for dog poop. You can find dog poop plastic dispensers throughout the city specially in parks (even in the forest!). The Swiss diligently picks up the poop after their dogs. It is totally embarrassing NOT to do it. This results in a totally dog poop free city. Though famous for being an overly expensive city (9th in the world in terms of cost of living), it also gives the world's highest salaries. It's so expensive here that if one is earning less than 3500 sfr (3200 USD), one is considered to be living below the poverty line. There are many vacation packages one can choose from today. People looking for a summer heaven might have their pick in myrtle beach vacation packages, or the more exclusive caribbean vacation packages. Then there are summer deals like san diego vacation packages. Then there are always the cancun vacation packages for families who love a fun time. Because of what you've written, my desire to go to Switzerland one day is intensified. I'm dreaming of going on a trip to Europe together with my husband. How much do you think should I save for it? 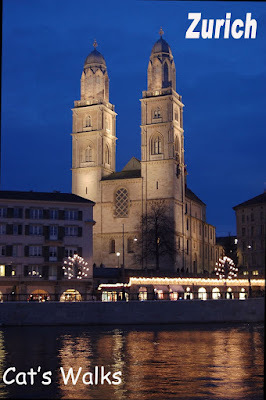 According to my knowledge Zurich, Switzerland is most wonderful city.I love Switzerland it is very cool place.